Ever since I saw this CAS by maybesomethingdunno I just knew - I had to make one! Time passed,my worthless tries got rejected...but I did not leave that dream of mine.....I just needed to make it better. This is something that I decided to do in order to participate in the new monthly theme,since the idea of changing that boring base game CAS was something that I never finished. 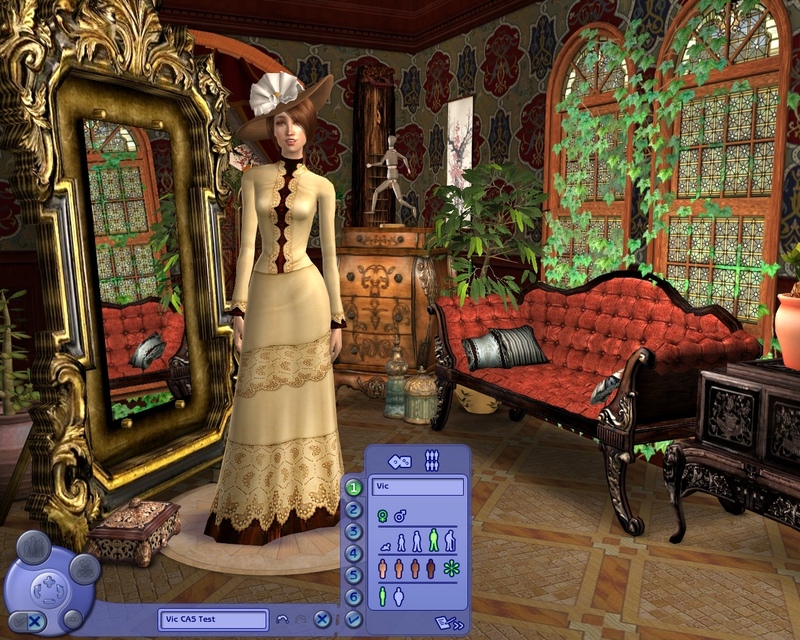 The CAS at first had to be related to another of Jules Verne's works - "In 80 days around the world" and had to include objects of each visited country,but the cc were too many,so I had to redo it with smaller amount of cc. 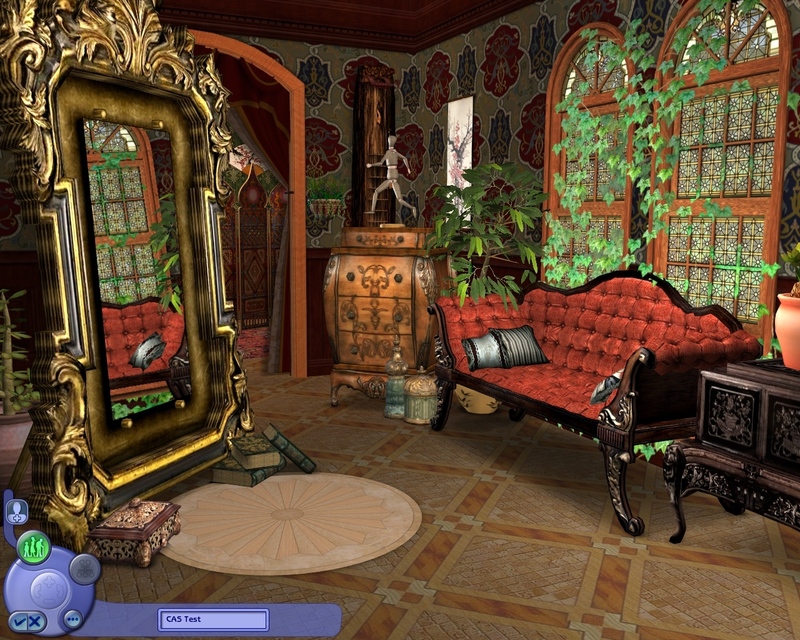 Anyway this is half-Victorian/Gothic/Orient,so enjoy! Edit: Thanks to Tabby for noticing the missing loveseat/chest recolors. If you have downloaded the rar and they were missing,re-download the CAS or download separately from the list below. I had not edited the lighting in the main room,so you can still take pictures there. However the family room(where the created sims appear) has lightning edited. You can see it in the pictures. There's a rar included in the thread called "CAS_Screens". In it you'll find - "CAS!.package" and "YACAS!.package" and a folder called "CAS_Objects". That rar must be extracted in Downloads folder. If you have problems locating it - see the help in "Install Instructions" in the site. The CAS file will replace the existing Create-A-Sim screen,that loads each time to create a family. The YACAS file will replace the existing Create-A-Sim screen,that loads each time in University(or games later on) to create young adults. The folder in the rar, contains the required objects in order for the CAS screen to show properly. The files have been tested,but if you find anything wrong,please contact me. 93 people have said thanks to lidiqnata for this download. As a CAS collector (yes, I'm odd) I am absolutely in love! Thanks a bunch, & extra thanks for including a matching YCAS screen too! This is a gorgeous CAS, and I love how the lighting looks in it. 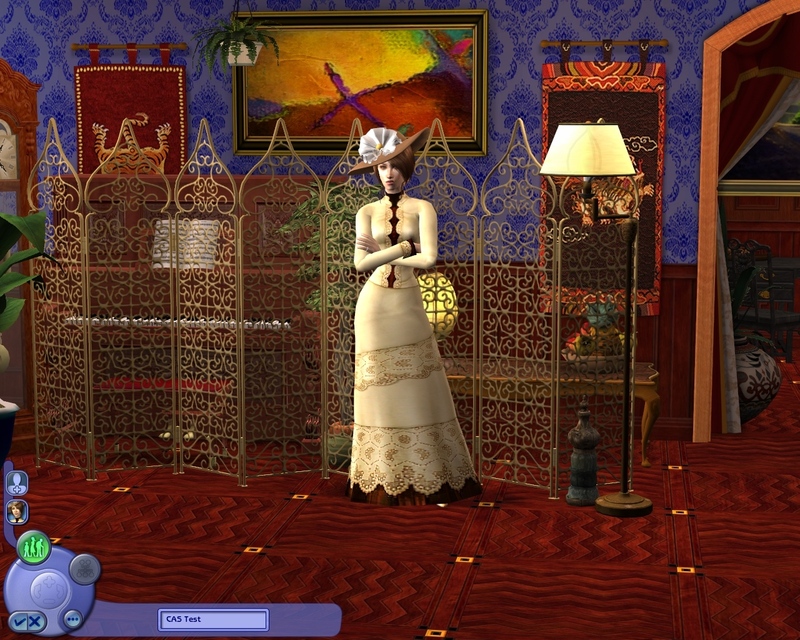 I know you didn't alter the lighting, but thank you for not placing a bunch of open windows or lights next to the Sims; much less glare this way! Just one little thing. 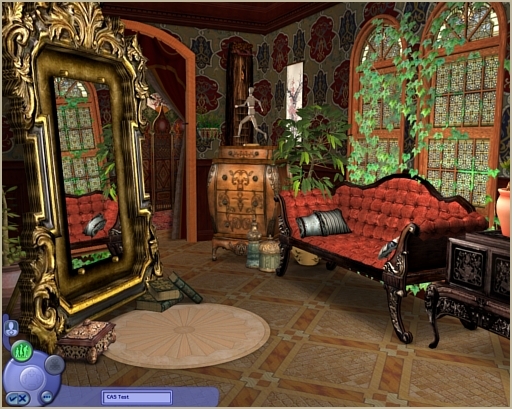 In the CC folder, while it provides the meshes for Adele's Gothic sofa and Persian chest end table, it doesn't come with any textures, so those objects are flashing blue in my game (and in the CAS) right now. I didn't see a link on the download page leading to those two objects, although it's totally possible I may have missed something. EDIT: I see you did link directly to those files, sorry for missing that. Tabby,all textures should be included in the meshes,if something is flashing blue it might be because i accidentally deleted a texture,but i think i re-checked all and this was what was left. Last edited by lidiqnata : 10th Jun 2015 at 8:56 AM. Loonieloose Wow, I really like this one. All Adele stuff as well! Thank you very much. The ivy puts a special effect to it. Thank you very much. I want to download, but either I am stupid or blind. Where can I find the folder? Wow, I really like this one. All Adele stuff as well! Thank you very much. The ivy puts a special effect to it. Thank you very much. I want to download, but either I am stupid or blind. Where can I find the folder? Thanks for updating it. This is such an awesome CAS. It's what I've been looking for ever since I started playing a Victorian-themed 'hood. so mine has a flashing blue spot in place of the end table, how can I fix this? Firstly - did you redownload after the updated version and replaced the rar? Second if that did not help: If the end table is flashing blue - see credits in main post and just redownload the missing table from adele's links. If something on the table is flashing blue - you don't have the required SP/EP,because the rest is maxis items. This message has been deleted by nikkiluvzglen.